Are you wondering what castability is? No need to break your heads. It is nothing but the way of casting a product with a less cost and less defect within a fixed time. 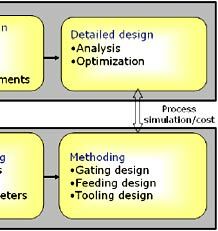 This can be done only if there is a perfect balance between the process capabilities and the product requirement. Let us see about some design factors that affect Castability. The materials should be selected according to their physical, mechanical properties and also some chemical properties like melting point, corrosion resistance and tensile strength. 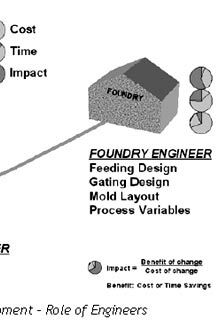 The above factors, affect the quality of the casting product by their Dimensional strength & internal reliability. 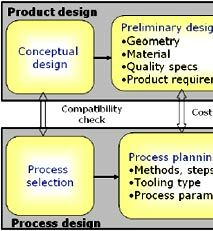 Designing the geometry of the product is quite cost effective & it depends upon the complexity of the process .It also depend upon the tools used. The geometry of a product can be affected by many numbers of ways. The directional solidification process that is the movement from the thin to thicker to thickest, affects the internal reliability if it is not done in a proper manner. Solidification process in long thin sections is quite difficult. 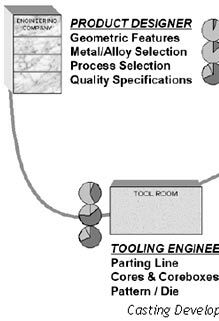 In order to have a smooth casting surface, it can be planned in drag section of the mold. Lifting arrangements can be made to handle heavy parts, while shipping the products or while machining or assembling. The breakage of heavy sections of the castings can be avoided by using ribs or other additional strengths. Quality of the product in general means free of defect or less defect. The same applies here. The casted product should have a desired surface quality, a proper dimension and internal reliability. Radiography and pressure testing are some of the methods by which the quality of a casted product can be tested. In the above mention defects the last two defects that is micro-porosity and dimensional accuracy leads to rejection only if the required specifications are very stringent. These factors in turn lead to high labor work. We got to face many problems during the casting process. It is also difficult to solve and it is cost expensive too. In general the casting development process should have a proper product designer, tooling designer and foundry engineer for the work done to be successful.